Trevon Duval is Duke's highest-rated recruit. 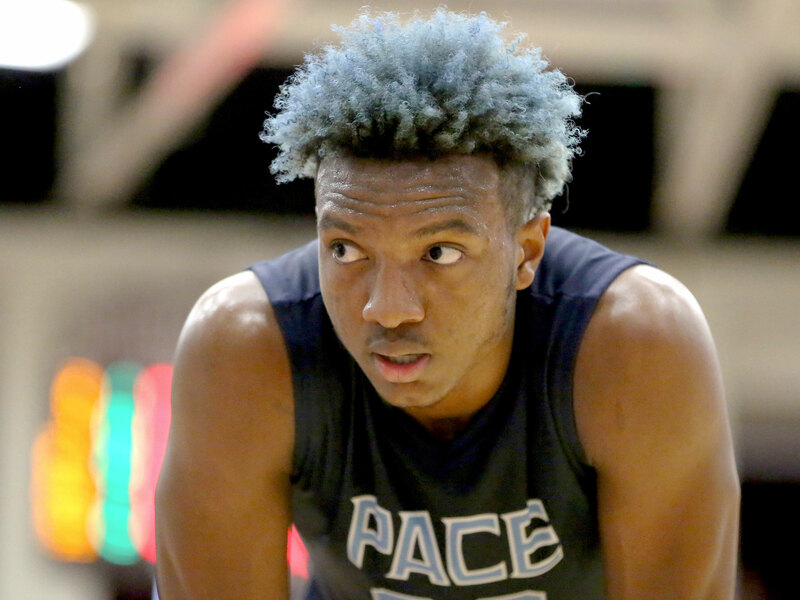 Wendell Carter may be the Blue Devils' most influential newcomer, given the spot Duke will count on him to fill. With that in mind, SI.com will be introducing you to the top 25 incoming freshmen in college basketball and breaking down the impact those players could have this season. We move to the No. 6 overall recruit: Duke’s Wendell Carter. While Carter might not be Duke’s top-ranked newcomer—that honor goes to point guard Trevon Duval, the No. 4 player in the class—he could very well end up being its most influential. At 6’10” and 260 pounds, Carter has the requisite size and skill to start for the Blue Devils from day one. He’s known as a serious academic, and before committing in November was also mulling offers from Georgia, Georgia Tech and even Harvard. It’s a good thing Mike Krzyzewski convinced him though: for all the talented recruits headed to Durham this year, Carter is the only non-guard or wing among them. Carter should step into Duke’s starting power forward position from the minute he steps on campus. Harry Giles, whose injuries limited his productivity his only season in college, is off to the NBA, making Carter the most talented big man on the roster. He’ll be asked to serve as Duke’s top interior defender, in addition to being a reliable rebounder and scorer down low. Every starter from last year’s season-ending loss to South Carolina is gone, which for most teams would be cause for alarm—just not for Duke. Grayson Allen is back for his senior season and should be the preseason favorite for ACC Player of the Year for the second season running. Then add Carter, Duval, and a handful of other top recruits to the mix, and suddenly the outlook in Durham isn’t so gloomy after all. In fact, if all the pieces click together, this year’s squad should be better than the group that won last season's ACC Tournament.